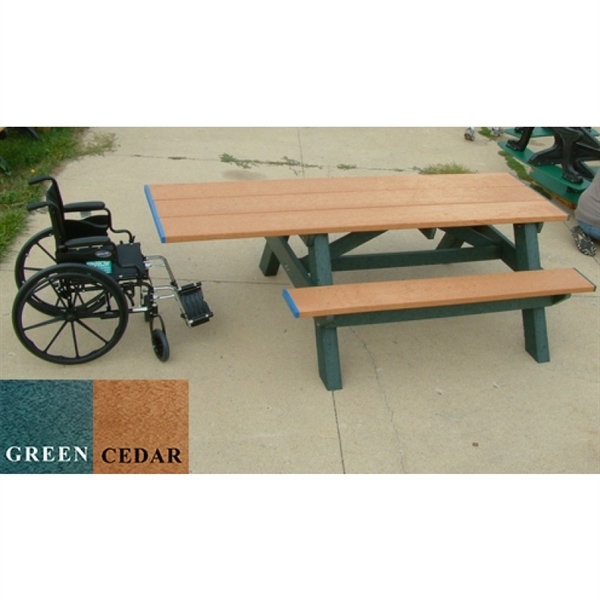 The standard Handicap picnic table has the traditional step over design using solid 2x10 100% recycled plastic lumber for the tops and seats and heavy-duty solid plastic 4x6 lumber for legs. 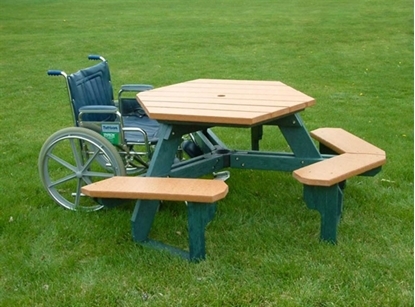 The seats and table top are trimmed on one end with end caps matching the frame color while the other end is trimmed with blue end caps indicating ADA universal access. 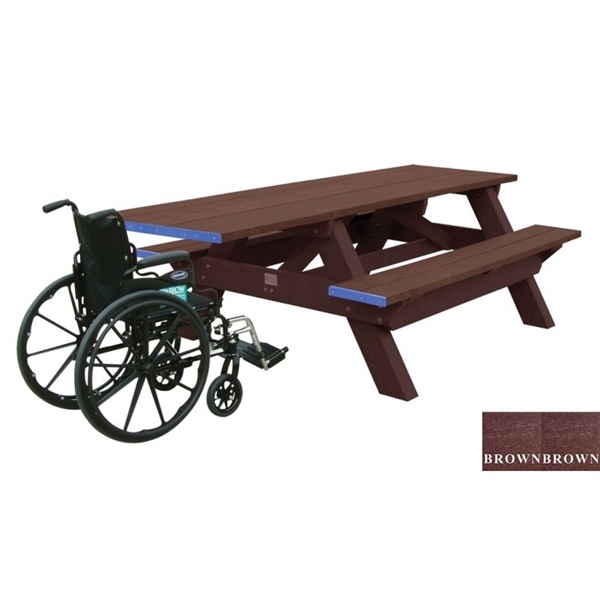 The overhang provides accessibility for one wheelchair to sit comfortably at the table. The recycled plastic is maintenance free and impervious to weather and insects. The molded in color of the plastic lumber in this traditional design makes this table attractive in any setting. This product ships partially assembled with detailed instructions for the remaining assembly required using standard hand tools. Please note that standard tables are manufactured without an umbrella hold which is optional and can be added for a slight additional cost. Optional anchor kits to secure the table to the ground are also available. 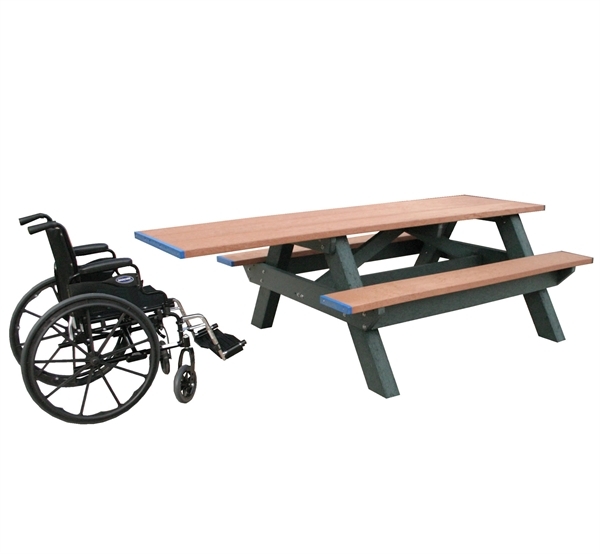 Double End ADA Wheelchair Accessible Rectangle Picnic Table 8 Foot Recycled Plastic, Portable, 351 lbs.